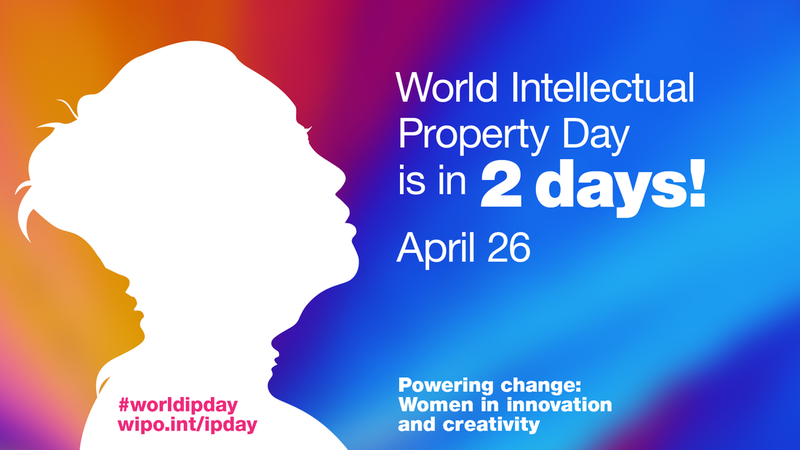 On Thursday 26th April it’s World IP Day. This year’s theme is “Powering change: Women in innovation and creativity”. At IP Inclusive, we want to celebrate women throughout the IP sector: the inventors and creators, the IP owners and users, and the many talented professionals who advise and support them, helping them to make the most of their IP rights on the wider stage. Today’s article is from the Chief Executive of the Chartered Institute of Patent Attorneys, Lee Davies, who explores the increasingly important role that women play in the development of the patent profession. Lee writes: “Equality, diversity and inclusion (EDI) has never been more prominent on CIPA’s radar. As a founder member of IP Inclusive, it is absolutely right that CIPA continues to fly the flag for EDI, not just in terms of the diversity of the patent attorney profession but right across the landscape of intellectual property. No single aspect of diversity takes prominence, but there are times when the attention falls on a particular group of people. For World IP Day 2018, the World Intellectual Property Organisation (WIPO) has alighted on the theme of ‘Powering Change: Women in Innovation and Creativity’ and here, I reflect on the role and achievements of women in CIPA. Set the task of identifying the first female Fellow of CIPA, we dived into the Institute’s archives and came across this entry in the Transactions for 12 February, 1936. This does not, of course, make Margaret Joyce Alderton the first female patent agent. Indeed, two women qualified as patent agents at around the same time, the other being Margaret Gulland Dixon, the daughter of George Ellis (Mewburn Ellis). On googling ‘first female patent agent UK’, it is Margaret Dixon whose name comes up, with the Mewburn Ellis website stating that she entered the profession in 1929 and qualified in 1936, making her ‘the first woman to take up patent agency as a full-time career’. We do know that Margaret Alderton qualified in May 1935, making her the first qualified female patent agent in the UK, and that she became a Fellow of CIPA in February 1936. Margaret Dixon qualified in February 1936 and was admitted as a Fellow of CIPA in November of that year. I would rather not dwell on which of these two remarkable women was the first female patent agent in the UK. Together, the two Margarets took on the established all-male profession and carved their names in history. The flood gates, however, did not open. It would be twenty years before the admission of another female Fellow, Mrs Nancy Rowena Margaret Russell, in 1959. Before a host of eagle-eyed patent attorneys observe that this is a gap of twenty-three years, there were no Fellows admitted in the mid-war years 1942 to 1944. From this point onwards, we find female Fellows being admitted to CIPA at the rate of one every two or three years, with thirty to forty male counterparts, through until the early seventies, when things start to pick up. 1981 marks the start of an upward trend in the participation of women in the profession, with eight out of fifty-three Fellows being female, a remarkable 15%. Towards the end of the eighties, we see the rate of female fellows at around 25%, though it should be noted that overall recruitment into the profession dipped at this point due to uncertainties brought about by the 1988 Copyright, Designs and Patents Act (CDPA). In 1986, which saw a decade high point in percentage terms of 27%, four female Fellows were admitted in a cohort of fifteen. Throughout the nineties there is significant growth in the profession, with five hundred new Fellows being admitted to CIPA in the decade, one hundred and fifty (30%) of these being women. Into the 21st Century and we see this growth continuing, with nine hundred and thirty-one new Fellows entering the profession in the first decade of the new millennium. Of these, 305 (33%) are women. The same pattern continues up until the present day, with two hundred and twenty-three women (33%) making up the six hundred and eighty-six new Fellows admitted between 2010 and the OGM held in London in April of this year. Statistics, however interesting, do not tell the whole story but do help us to understand the environment within which we operate and how we might influence that environment. Of the two thousand, three hundred and forty-nine currently practising Fellows of CIPA, six hundred and fifty (28%) are female. We still have a long way to go to reach the point where the patent attorney profession is representative of the population in general. We are, however, recruiting from a restricted pool in that both patent attorney firms and industrial departments look to employ the very best young graduates with science, technology and engineering backgrounds, where women are often underrepresented. Focussing on the core science, technology, engineering and mathematics (STEM) subjects of the sciences, mathematical sciences, computer science, engineering and technology and architecture, building and planning, we see a very mixed picture. Using the WISE[i] report ‘Women in STEM Workforce 2017’[ii], women now represent 41% of graduates in the sciences[iii] (8,020 women). In the mathematical sciences, the number of women graduates is 39% (3,765 women). Just 15% of computer sciences graduates are female (3,015 women). In engineering and technology, the story is much the same, with 14% of graduates being female (4,700). For completeness, 27% of architecture, building and planning graduates are female (2,840 women). In total, the number of women graduating in a core STEM subject in the UK continues to grow. Due to the more rapid growth in the number of men graduating in these subject areas, the percentage of graduates who are women has dropped from 25% in 2015/16 to 24% in 2016/17. With one third of newly recruited patent attorneys being female and twenty-eight percent of all practising patent attorneys in the UK being women, we could take a step back and say that we are performing above the STEM benchmark. Personally, I do not think that is good enough. It is interesting to compare the patent attorney profession with the wider legal services sector. The Solicitors Regulation Authority (SRA) reports that 48% of lawyers in UK law firms are female, with women making up 47% of the total UK workforce[iv]. 37% of all practising barristers are female[v]. Since 1993, over 50% of new entrant solicitors have been female and women currently make up 57% of trainee solicitors and associates. In terms of seniority, women make up 59% of non-partner solicitors compared to 33% of partners. We do not have figures on the percentage of partners in patent attorney firms who are women. I am committed to initiatives such as IP Inclusive and Careers in Ideas, not simply because it is the right thing to do for the IP professions but because together we can challenge society in general to address the need to open up access to STEM subjects to more young women. Only through increasing diversity in higher education can we create the conditions whereby we can increase diversity in the profession. We do have the challenge of evidencing progress, which is hampered due to the fact that there is very little data across the full range of EDI identifiers for the patent attorney profession. I want to see the patent profession standing tall and proud as a STEM career of choice for female graduates. In this regard the statistics are interesting but serve no real purpose. What we need are strong female role models who demonstrate that ours is a rewarding career for women. This is one area where we can lay claim to some successes. The number of women on CIPA’s governing Council is increasing and, at 27%, is broadly representative of the membership. But we could do better. CIPA’s first female President, Anna Denholm, was elected in 2003 and, with the succession of Julia Florence to the Presidency in 2019, we will have had three female Presidents in the last five years. Catriona Hammer was elected in 2014 and was succeeded by Andrea Brewster in 2015. [i] WISE is the campaign for gender balance in science, technology and engineering. [iii] The medical sciences are not included within the core STEM subjects.